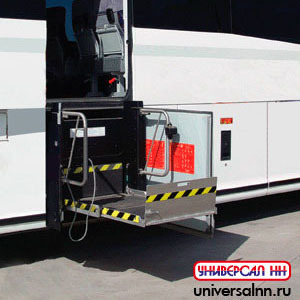 Ricon S-Series handicap platform lifts from Vantage Mobility International offer a wide variety of unique features that ensure efficient, safe, and comfortable travel in commercial wheelchair transport applications. Whether for a bus, shuttle van, or ambulette, the S-Series line of platform mobility lifts utilizes a compact but sturdy design that inegrates standee handrails and occupant safety belts. In short, the Ricon S-Seriescommercial lifts are perfect for any business looking for more wheelchair access. 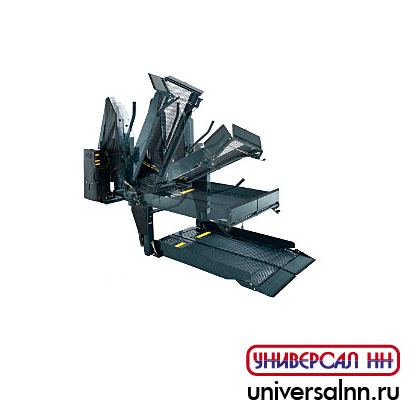 Additional features of the Ricon S-Series wheelchair platform lift include stainless steel fittings, lubrication free bearings, and hydraulic cylinders. The affordable S-Series commercial mobility lifts also comply with all applicable ADA standards and come with a 5 year limited warranty.